FAIRMONT, W.Va.–The Oak Glen softball team scored four runs in the top of the seventh inning and picked up its first win of the season by beating East Fairmont 9-8 in game one of a doubleheader Friday. Sophomore Amber Moore delivered a go-ahead two-out two-run single in the top of to give the Golden Bears a 9-7 lead. In the bottom of the frame, an error and a double put runners at second and third with one out, but freshman pitcher Maddie McKay got out of the jam to win her first career start. McKay went the distance with 10 strikeouts and three walks. Senior Hanna Patterson doubled twice and scored three runs, while McKay finished with an RBI double and single. 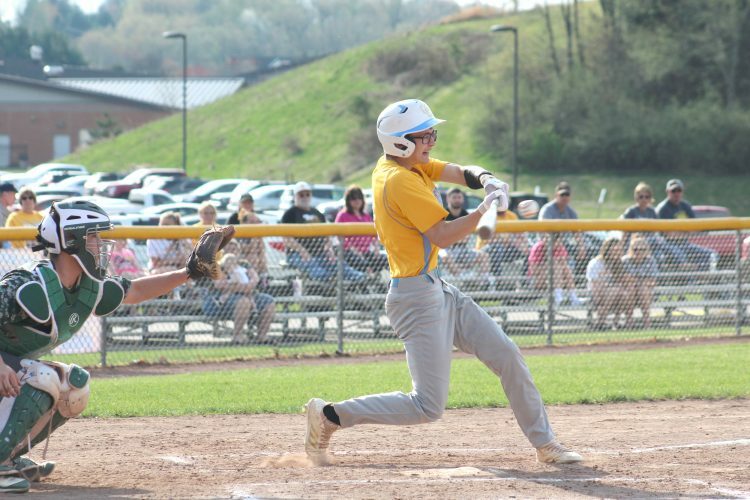 East Fairmont hung on for a 6-5 win in the second game. The Golden Bears clawed back from a 6-3 deficit, but stranded the tying run on third in the seventh. Senior McKayla Goodlin clubbed a three-run homer to give Oak Glen a 3-2 lead in the top of the second. Junior Lexi Andrews tripled and singled, while Maddie McKay collected a double and a single. Sophomore Janaya Montgomery started the game for Oak Glen and pitched two innings before McKay came on and finished the game in relief. Oak Glen (1-2) will travel to rival Weir today at 5:30 p.m.